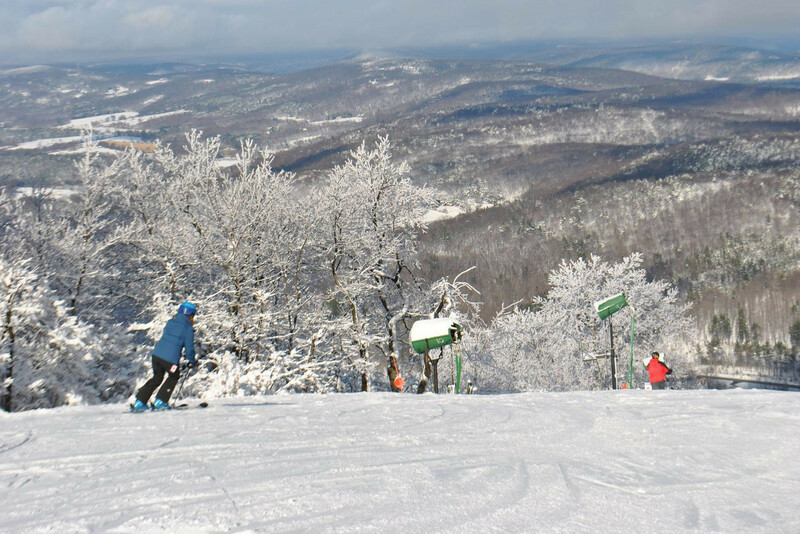 Catamount, nestled in a picturesque bowl in the Berkshire Mountains, is a mountain for the entire family. There is an extensive trail network for all abilities and spectacular views can be seen from many turns. Catamount has four chairlifts, including a summit quad, one triple and two doubles. Three Wonder carpet surface lifts service the Snowsports Learning area. Mountain Cats is Catamount’s popular children’s program. Snowmaking on 32 of the mountain’s 36 trails is reliable throughout the winter and Catamount’s groomers keep the mountain in optimal condition. A combination of trains and bus services to Great Barrington, Mass. (located 8 miles From Catamount) to New York City. There are several movie theatres within 15 miles and excellent restaurants in the area. Rentals, ski and snowboard school including children's programs. Get Snow Reports, Powder Alerts & Powder Forecasts from Catamount straight to your inbox!